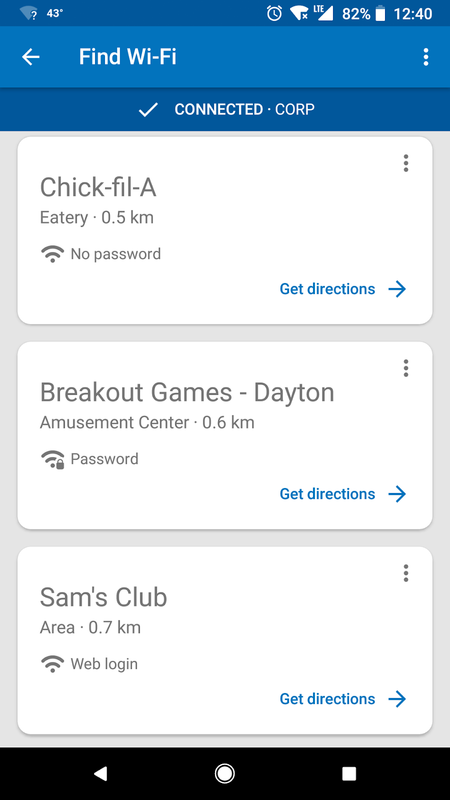 This app by Google (sorry, Android only) can help you manage and reduce your cellular data usage, which they claim is around a nice 30%. But what I really like is the "Find Wi-Fi" feature that clearly labels nearby networks as "No password", "Password" or "Web login", ending that guessing game. We got tired of tangled earbuds and found this really cool, flexible solution. You peel down the sides, insert the buds into the middle and wrap the cord around the side. 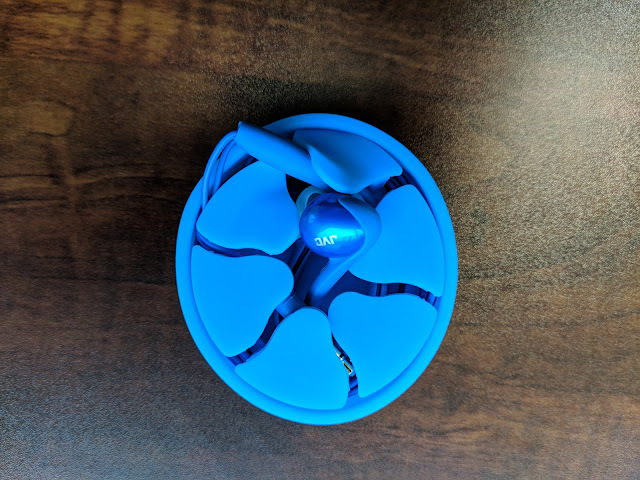 You peel the sides back up and no more mess. Even works with my oversized, over-the-ear buds. We have to wait a year and a few days before we embark on our next cruise journey, this one on the brand-new Celebrity Edge to the eastern caribbean islands of Puerto Rico, Tortola and St. Maarten. 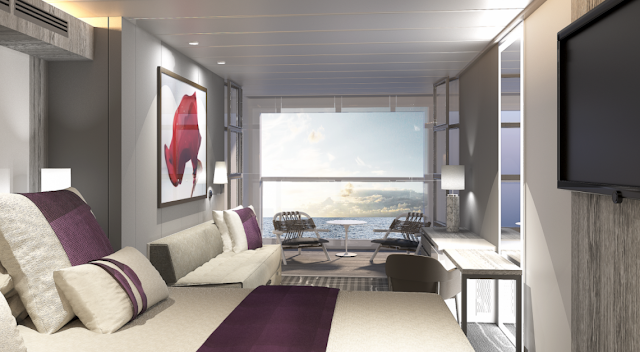 One of the coolest features are the Infinite Verandas, staterooms that go right to the water’s edge. This will be a great retirement gift. I think the picture sells it. 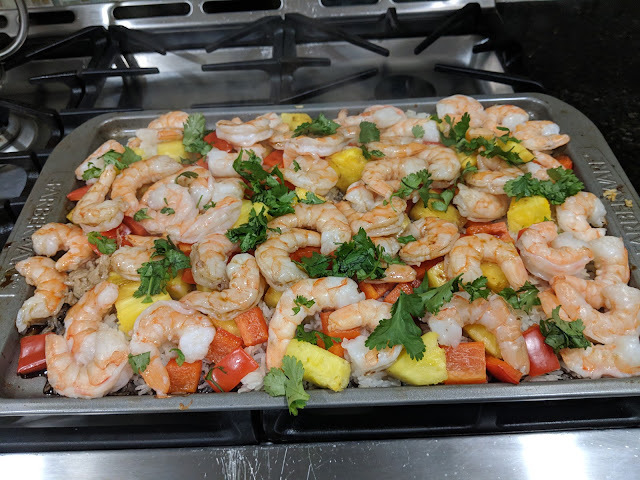 Just slide a spatula beneath to serve a plate of rice, pineapple, red bell pepper, shrimp, cilantro and the delicious drizzle. Quick, easy, minimal cleanup. What's not to love? Between tired feet from Monday's all-day walk through Universal Studios and the continued mid-80's temperatures in Central Florida, Tuesday was a road trip over to Cocoa Beach on the east coast. 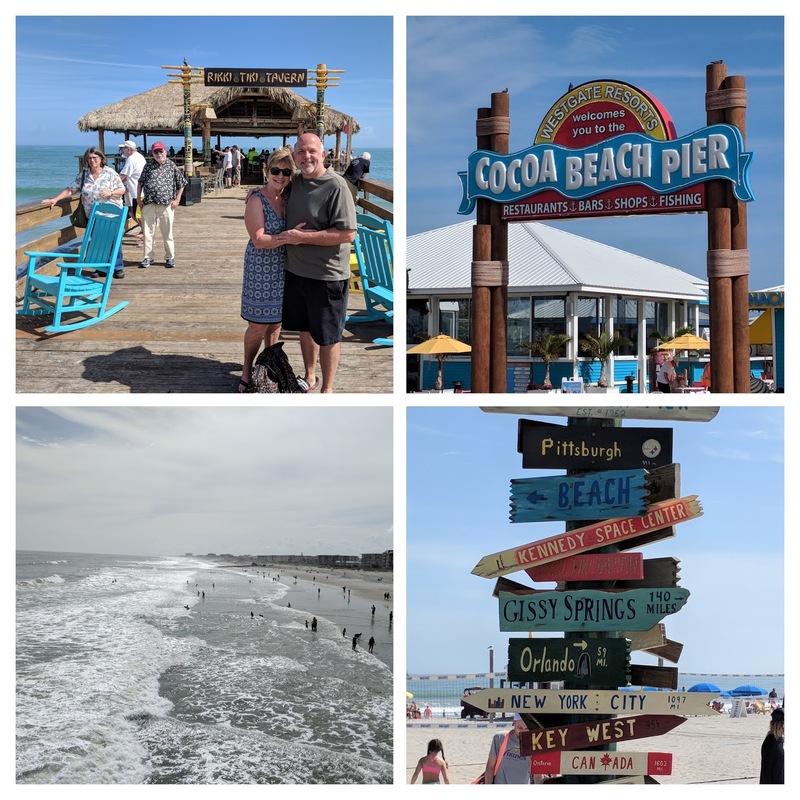 Nice to chill out at the tiki bar and lay out on the beach. Water was inviting, but a chilly 68, so no wave jumping this time. 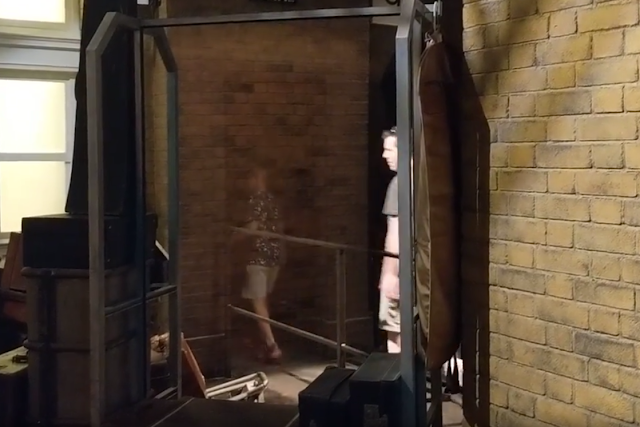 A fun visual effect entering platform 9 3/4's to board the Hogwarts Express train between the Universal Studios Orlando parks. Just like the movies, people appear to be walking directly into a brick wall from this photo opportunity spot. The ride was just as fun as your greeted by Harry, Hagrid, dementors and chocolate frogs. 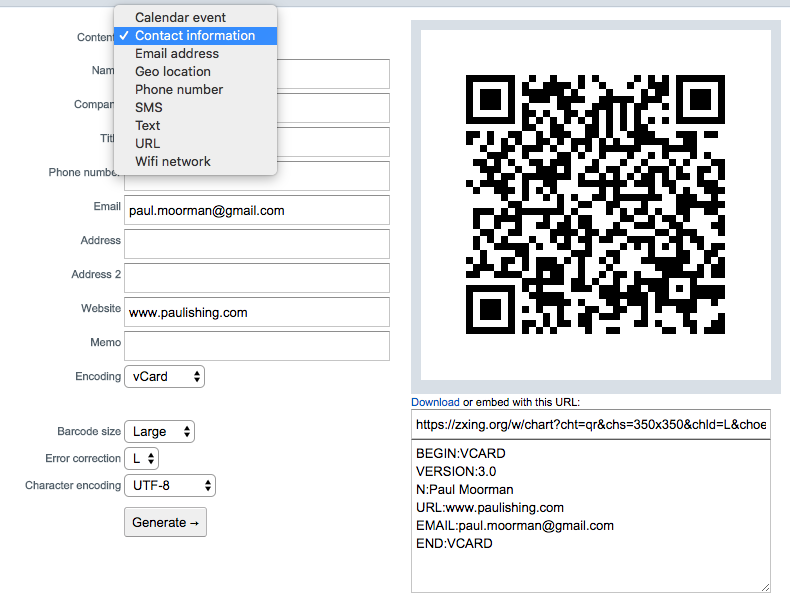 Google makes it real easy to download your email, calendar, contacts and most other data you have in their services. To submit your request, follow the "Download your Data" link at this support page, select one or more (or all) of the products you want and answer a few questions on what format and how you want to save it. It takes from a few minutes to several hours depending on how much data you're asking to export. 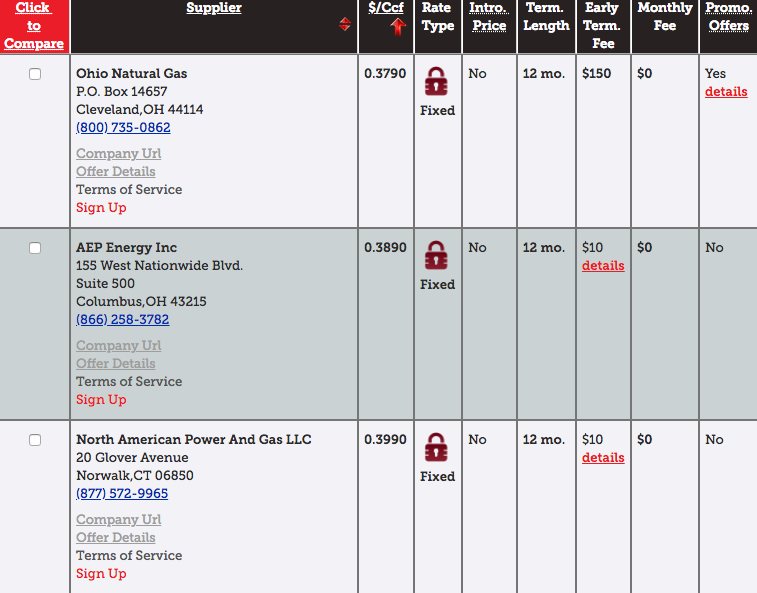 We just saved 8.5% by switching to AEP Energy as my gas supplier. 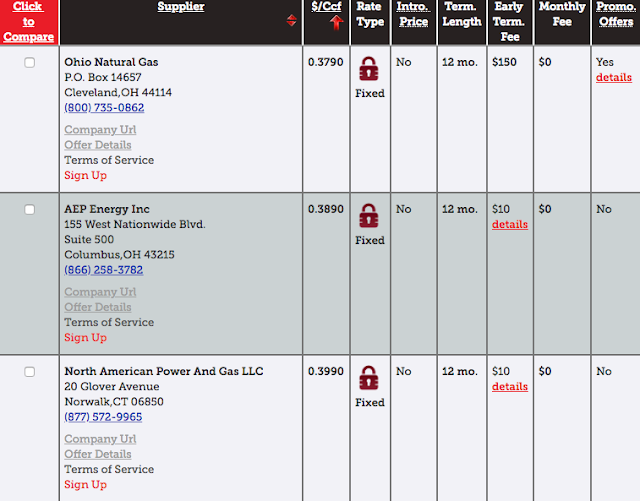 Could have saved slightly more but didn't like the $150 early termination fee in the Ohio Natural Gas offer. This all started when we received a piece of snail mail with an offer that was 14% higher that our current rate, which prompted us to visit this Ohio's Energy Choice website and look for offers. 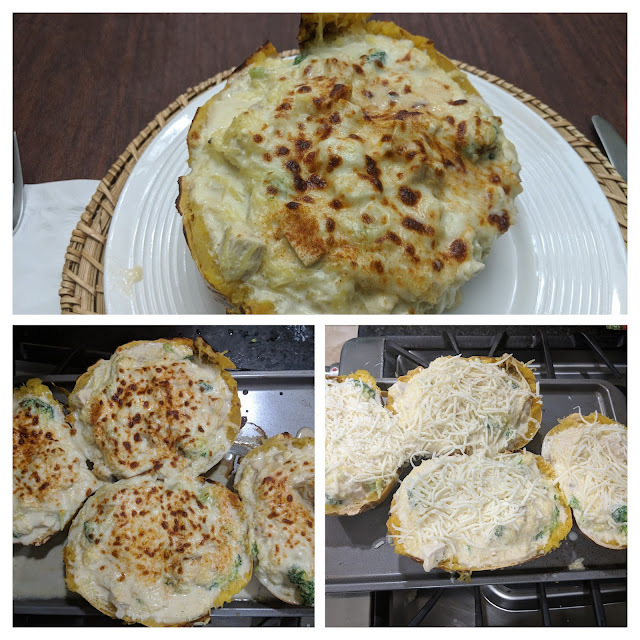 A double shot of veggies, with chicken and cheese served in the squash's half shell. Baking and cooling the squash takes a couple hours, so this isn't a good choice if you're in a hurry. 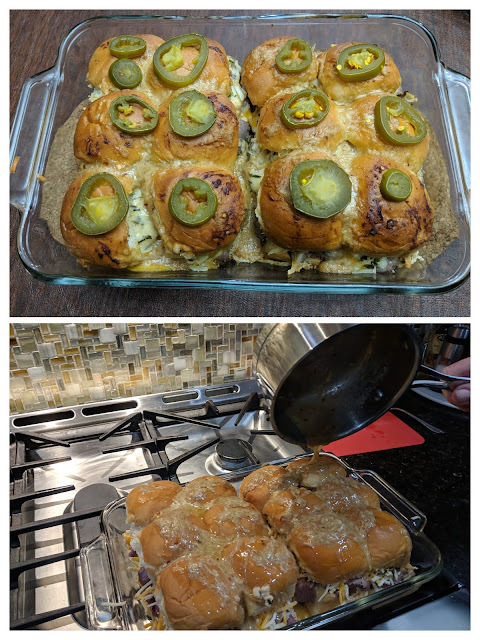 Super Bowl Sunday dinner included these over-the-top baked roast beef and cheddar cheese sliders, the insides of the buns slathered with a provolone, mayonnaise and scallions spread and then drizzled with melted butter, onion, parmesan cheese, worcestershire and red chili flakes. The jalapenos were our choice for the topper, adding some heat to all that flavor. 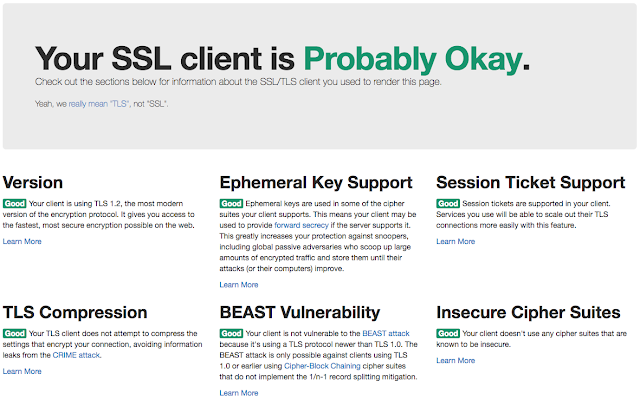 TLS (Transport Layer Security) and SSL (Secure Sockets Layer) are the acronyms for the standards used to encrypt data between your web browser and the website you're visiting. As bugs in these standards are discovered, they can be exploited to steal your data, and using the best is a good idea. 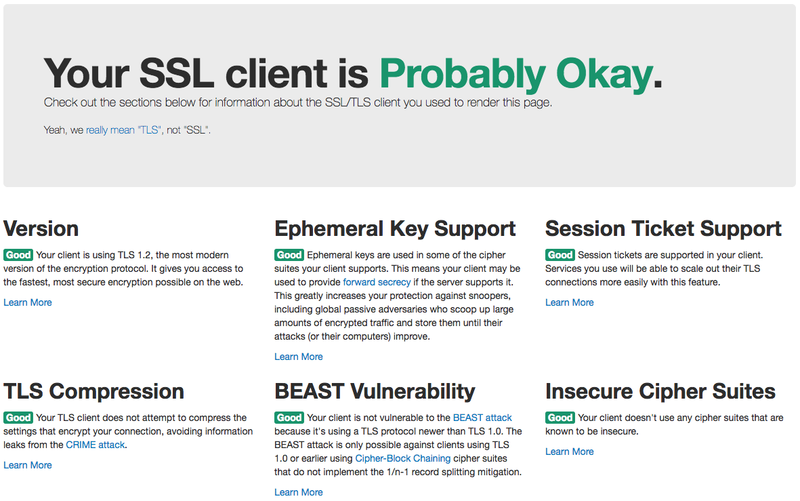 TLS 1.2 is the latest and greatest, followed backwards in time by TLS 1.1, TLS 1.0, SSL 3.0 and SSL 2.0. Keeping your web browser up-to-date is critical to keeping your computer safe, and with some websites beginning to accept only TLS 1.2, you might like to verify where you're at, and this website is your click away from knowing. My Chrome web browser gets their highest rating "Probably Okay", but better wording might be "The Best Available, At Least For Now", as TLS 1.3 is around the corner. I get to the Walmart located near the Dayton Mall by taking Southwind Drive, seen below at the top right corner of the map, which is a backdoor shortcut that avoids the Kingsridge/SR-725 congestion, when traveling east-to-west (i.e. right-to-left), my typical path. 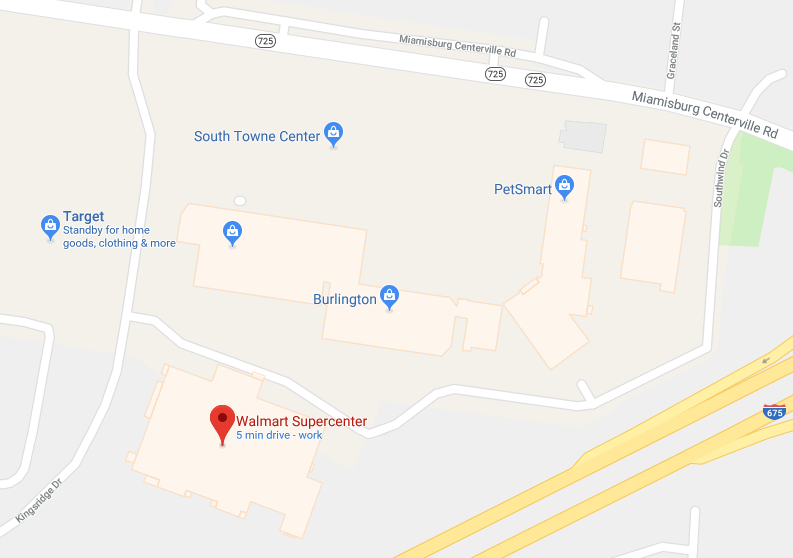 Southwind winds behind several buildings and it looks like you'll dead-end into I-675, but stay on it and you'll get to the less busy side of the Walmart parking lot. There is a light at Southwind and SR-725, particularly useful for making the return trip. 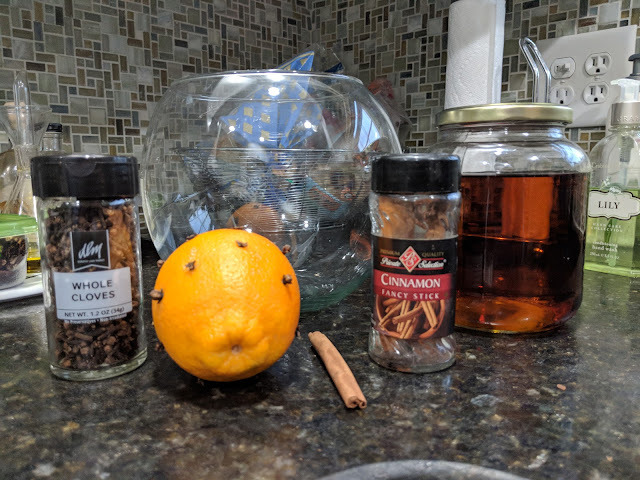 Takes a day to spice up a bottle of rye whiskey with orange, clove and cinnamon spices, but the resulting flavor is worth the wait. Added to some dry sherry and Cointreau and you have a "Squirrel's Stash", a cute but nonsensical name with a nice kick. At a previous house I had a sump pump that would run quite a bit during rainy weather, so when the power went out I was left with a basement mess. I ended up installing a backup pump that included a large battery, which worked but was yet another device to maintain. So when I found out they have backup sump pumps that use the regular home water supply for its power, I was amazed, even if I don't have water problems any more. 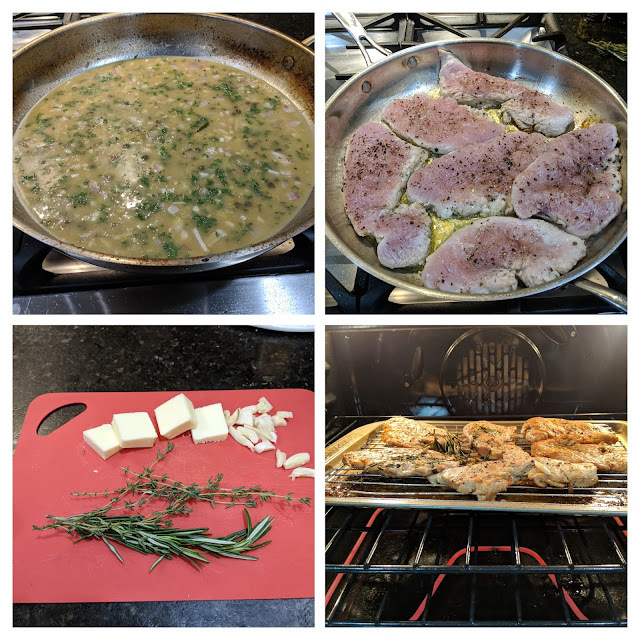 Change things up a little and buy some turkey breasts instead of the normal chicken. After a couple hours of basting and cooking down a reduction sauce, the turkey explodes with flavors of lemon, capers, garlic and spices. A good choice for a laid back Sunday. Those blocky QR (Quick Response) codes can encode more than just a web URL and the most useful one (IMHO) is for contact information. 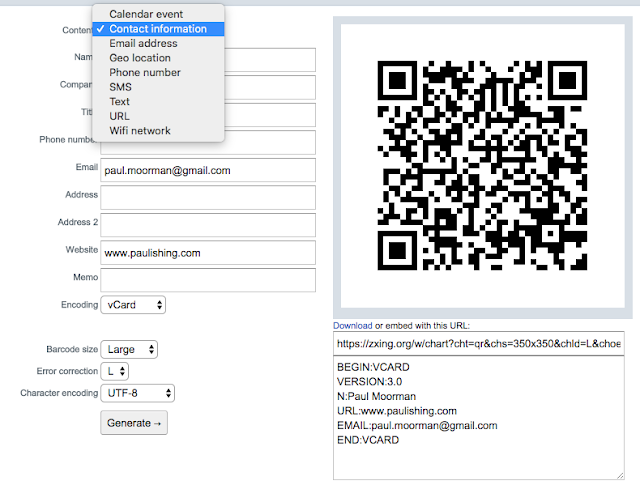 Instead of handing out a business card that has to be manually entered (and usually isn't), they can simply scan it and add it to their contacts. My favorite online QR generator is ZXing, short for "zebra crossing", which can encode nine different types of information. Add that to the back of your next business card.